The flower of hope. 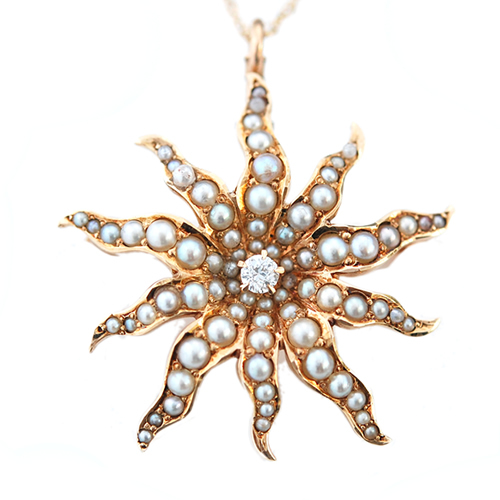 Created at the turn of the last century, this antique 14K diamond and pearl pendant doubles as a brooch. 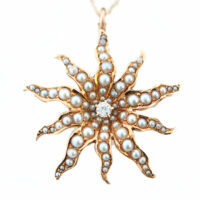 A European Cut diamond is glorified by the flowing petals of pearls. A one-of-a-kind treasure. Diamonds: (1) Mine Cut diamond weighing approx .09 cts.